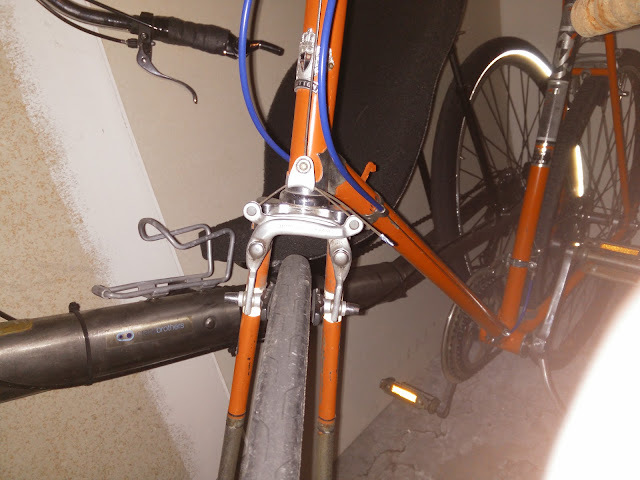 I little while ago, I convinced myself I needed to get back onto a bike with some suspension and lighter weight. 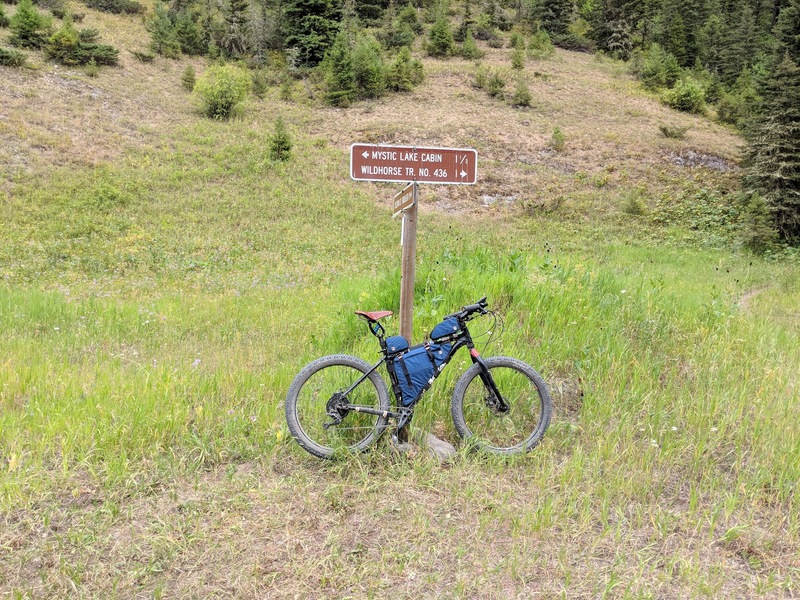 While the Mukluk has served me very well for my slow rolling adventures with more than ample bump dampening with its multiple wheelsets, I was wanting something that could get me out to a campsite faster with lighter gear. 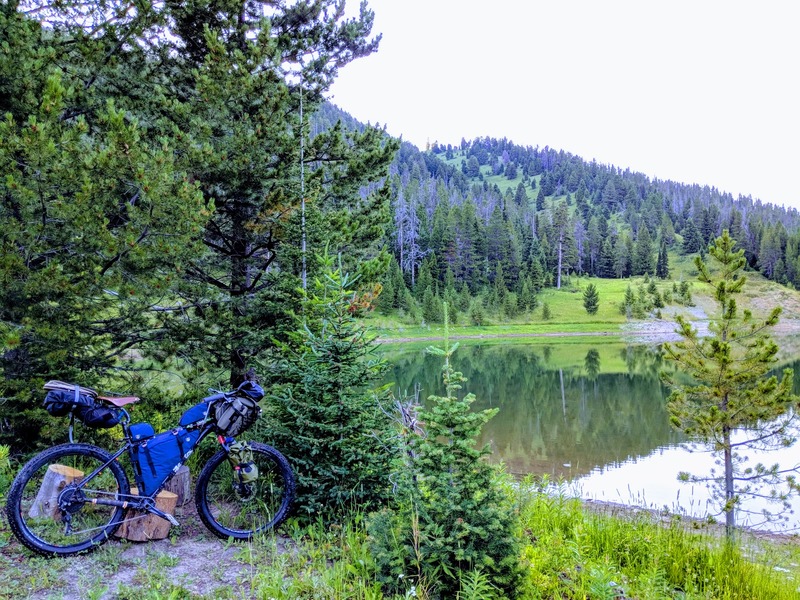 My current bikepacking setup was rigged for hauling bigger loads and moving slow and comfortably on rolling terrain such as old forest roads, well established and packed trails, and a smattering of single/double-track. 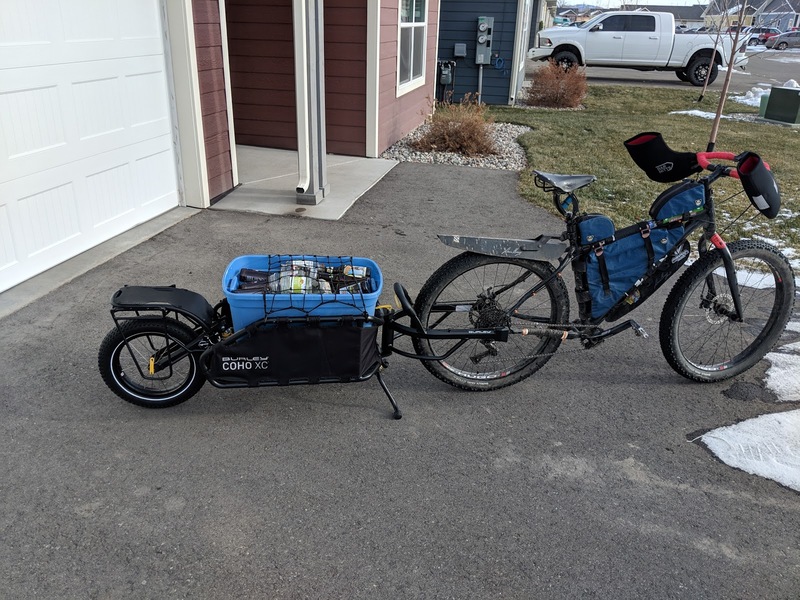 It's not really well suited for fast-moving, rutted out trails, or nimbly dodging tree roots and rocks. 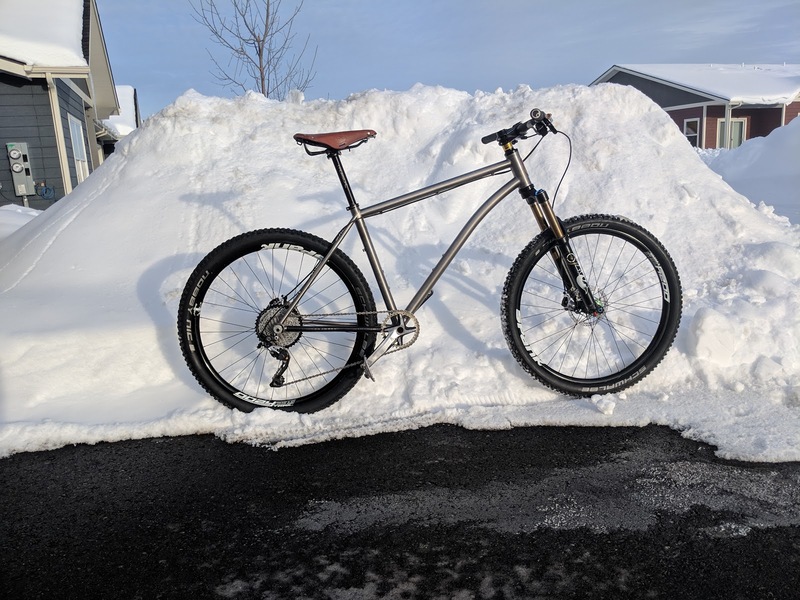 I ended up getting a used Lynskey MT 27.5 with XTR components and some Chris King hubs to make sufficient buzzing noises in the backwoods. The Kashima-coated Fox fork will guarantee I have plenty of years of enjoyment out on the dirt trails. 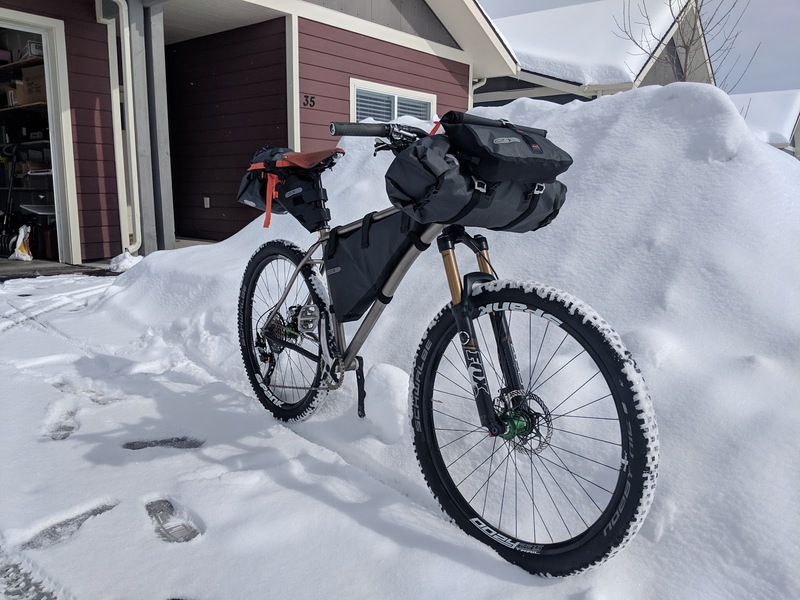 I tested out rigging my Ortlieb loaner bags. 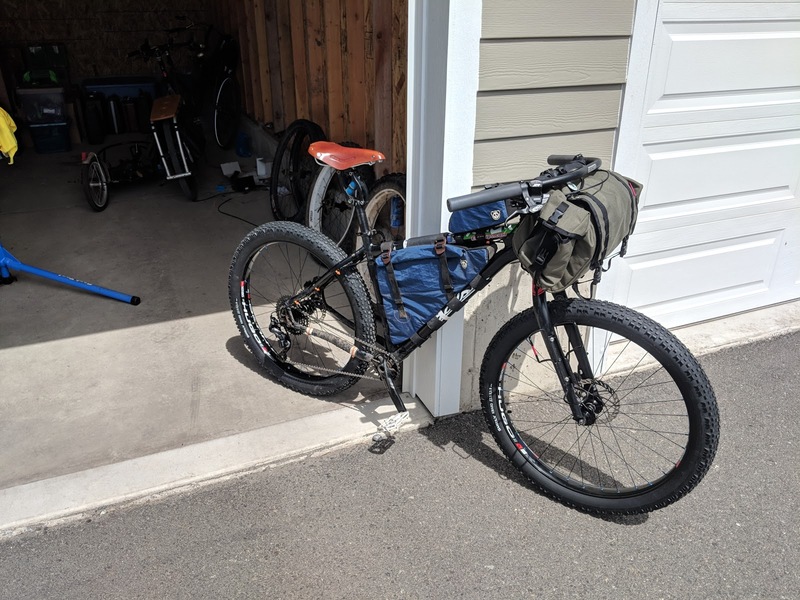 Unfortunately, the frame bag just didn't fit right, but these are my loaner bags in case anyone was feeling the need to join in a bikepacking adventure with me. 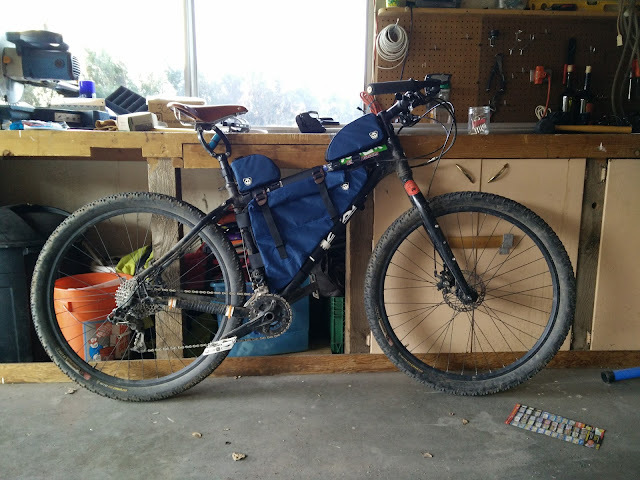 It looks pretty darn ok, except for the frame bag not being big enough. A few days ago, I got a birthday present from an old friend who works at Rogue Panda, based in Flagstaff, AZ. 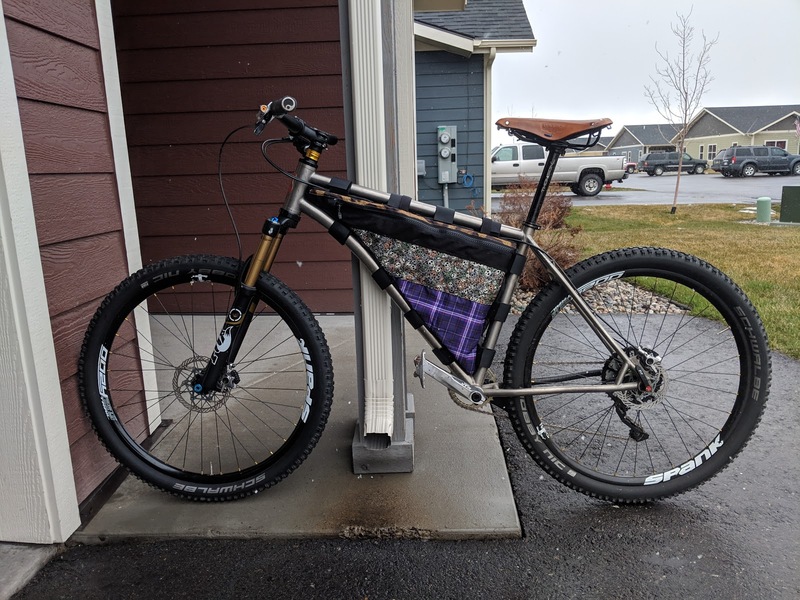 They specialize in custom frame bags. This thing is an amazing clash of colors and patterns that speaks personally to me from a colorblind perspective. 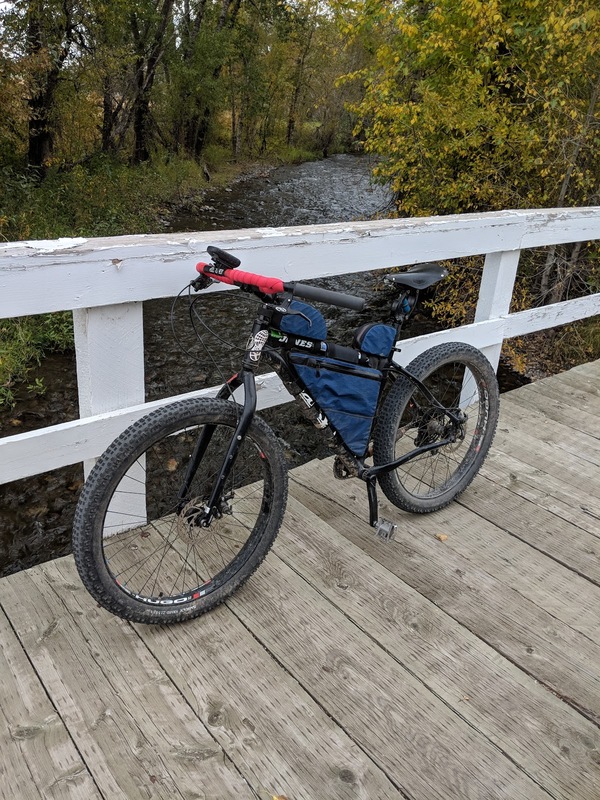 With a rolltop closure for the main compartment and a zippered pocket for easy access to snacks, maps, etc., this thing will be great to have out in the wilderness and in town. Neon dinosaurs and plaid. What's not to love? 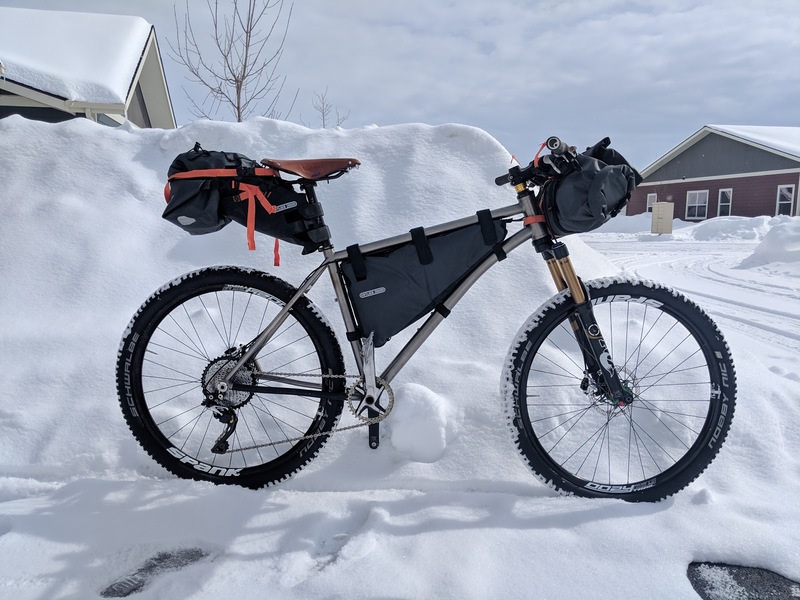 It's getting closer to biking weather. 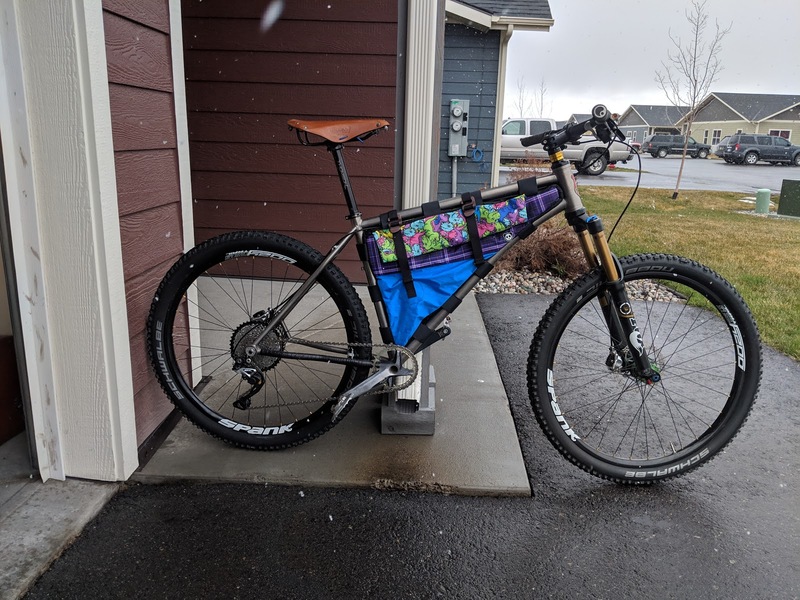 Soon I'll be able to head out on some sweet Montana trails and get this thing dialed in for some more adventurous bikepacking.